HomeBLOCKCHAIN GREEN ENERGYWPP Token Launches With a Bang, trade.io Invests $5M! and Brings 15,000+ Potential Investors! July 19, 2018 Rebecca Bright BLOCKCHAIN GREEN ENERGY, Breaking News, Business news, Crypto Currency News, Crypto Trade Platform, CryptoCurrency, Energy, green energy, Green Energy Blockchain, Green Energy ICO, Investments, NEW ICO's, News, waste to energy, waste to power, WPP ENERGY ICO Comments Off on WPP Token Launches With a Bang, trade.io Invests $5M! and Brings 15,000+ Potential Investors! WPP Energy, a leader in highly innovative Green Energy Solutions since 2009, headquartered in Geneva, Switzerland and trade.io Consulting Limited, headquartered in Hong Kong, would like to announce a formal partnership established on July 15th to assist WPP Energy with its Initial Token Offering, “ITO”. trade.io’s Seed and Venture partnership is making a purchase of 5M USD equivalent in WPP Tokens! trade.io Consulting Limited will help to grow awareness of WPP Energy and the WPP Token offering through the trade.io community of 15,000+ investors and trade.io Consulting will combine efforts with WPP Energy on investment road shows to increase awareness of WPP Token with a focus on presentations in the Asia region. As a strong vote of confidence in WPP Energy and the viability of WPP Token, trade.io’s Seed and Venture partnership is making a purchase of $5M USD equivalent in WPP Tokens, $2m will be purchased during the presale and $3m during the crowdsale which follows the presale. Joining WPP’s Advisory Board will be Mr. William B. Heyn, Capital Markets specialist with trade.io. Mr Heyn is the CEO of a middle-market boutique merchant bank and previously held positions at Merrill Lynch, J.P. Morgan and Morgan Stanley. 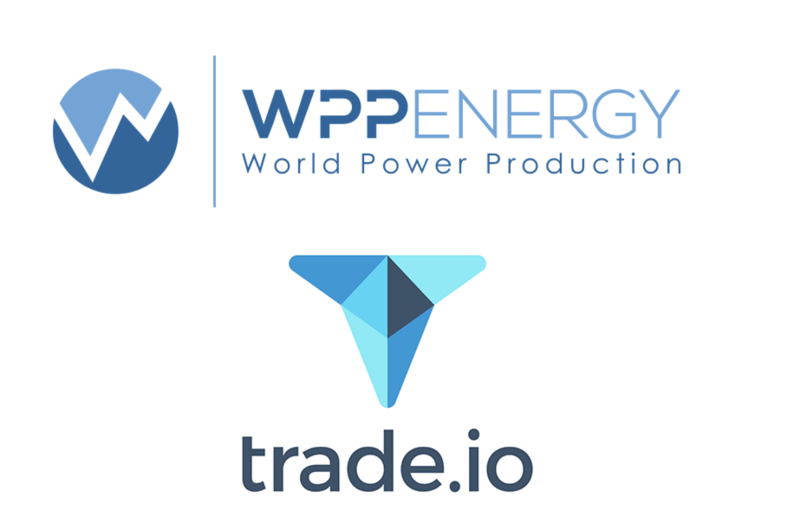 trade.io and WPP Energy are currently in discussion about WPP being featured on trade.io’s very exciting new crypto exchange platform initiative after WPP’s Token Sale has finished. More details on the partnership will be announced soon. Previous Press: FIRST HHO POWER PLANT CONVERSION TEST DEPLOYMENT IN ATHENS, GREECE! Like what you read? Give WPP ENERGY a round of applause.